Costa Mesa, California, (May 17, 2017) Clean Energy Technologies, Inc. (OTC: CETY), announced today that three of their Clean Cycle™ heat recovery solution (HRS) systems have been successfully commissioned in Lebanon, TN, as an integral part of a waste-to-energy downdraft gasification plant constructed by Nashville-based Aries Clean Energy. The new plant is the largest system of its kind in the world. CETY’s Clean Cycle™ is based upon a highly efficient, patented high-speed turbine that allows the Clean Cycle™ to generate electricity in a closed-loop Organic Rankine Cycle HRS utilizing relatively low temperatures. An Organic Rankine Cycle HRS captures waste heat, which can be from a variety of sources, such as exhaust streams, water, or steam processes, and converts it into reliable electricity without additional fuel or emissions. The additional energy produced by the Clean Cycle™ can be used on site or sold back to the grid. 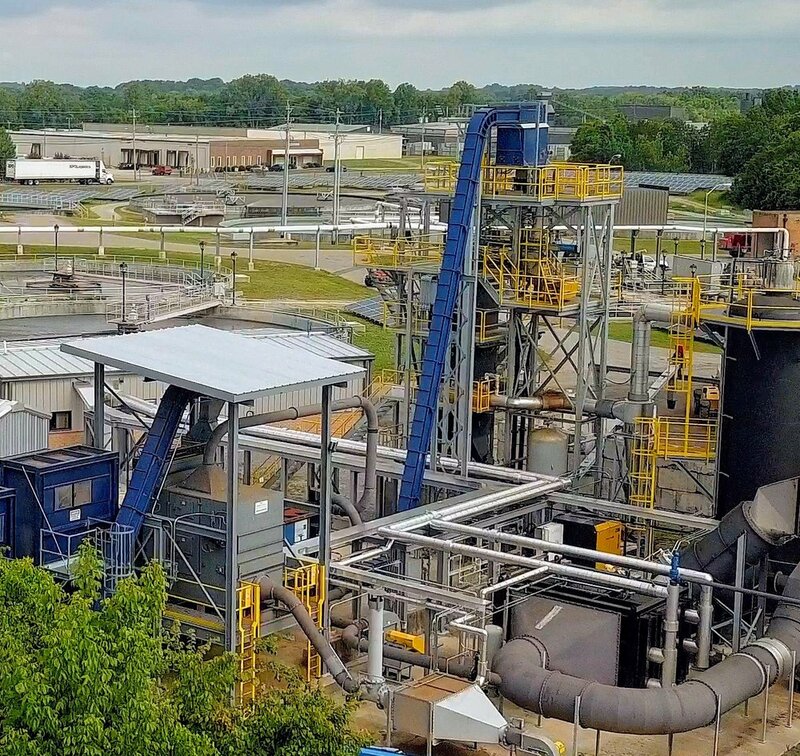 The waste-to-energy downdraft gasification plant built by Aries Clean Energy just outside Nashville integrates three of CETY Clean Cycle™ HRS systems designed to produce 420 kWs of electricity from heat captured through the gasification of approximately 64 tons of waste daily. Aries Clean Energy provided design, installation, and construction services for the project, deploying their patented downdraft gasification system. The gasifier cleanly converts waste into a combustible synthetic fuel gas without any burning or incineration steps. The high-temperature process that takes place in Aries’ commercially proven gasifiers is thermo-chemical in nature, using very low levels of oxygen in a sealed, computer-controlled environment. The new plant, which will utilize scrap tires, commercial wood waste, and biosolids from the adjacent wastewater treatment plant for feedstock, will at its 64-ton per day capacity produce electricity equivalent to powering approximately 350 homes, and allow the city to utilize that power to offset almost half of the total load at the waste treatment facility. The plant is projected to result in 2,500 fewer tons of carbon emissions annually. In addition, it will produce valuable high-carbon content biochar, which can be sold for agricultural or industrial uses.